Weekly Happenings: This past week held a few different fun things: Sunday night, Joseph lost his first tooth! On Thursday he went on his first field trip (they went to Sea World). On Friday, Abigail and I met Paul at his work to attend the annual picnic while Joseph was at school. 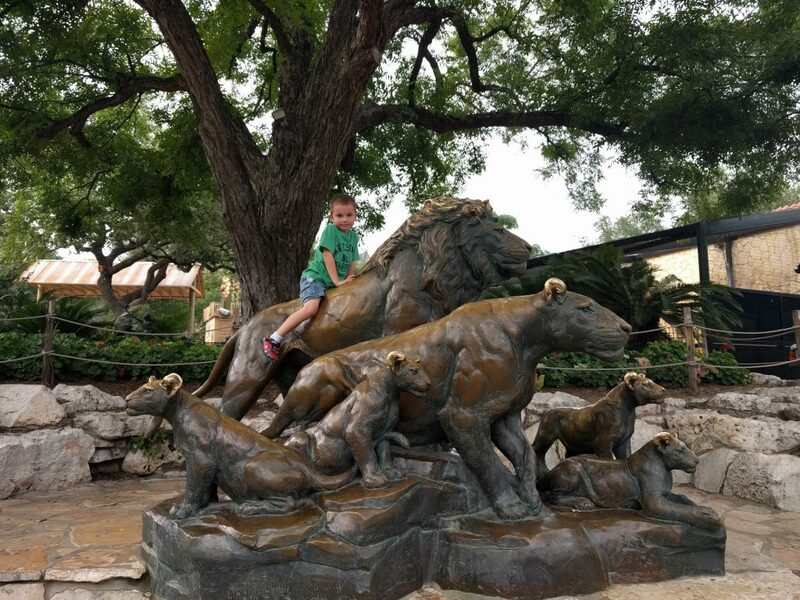 Since Joseph was a bit bummed about missing the picnic, we ended up running out to the zoo after we picked him up (one of my friends had gotten him from school for us). We went at my favorite time: right before closing. It was almost deserted and we were able to just wander around and see a few things (one of the perks of being pass holders is that we can go and not feel like we need to rush and see everything). We then went to eat at what Joseph calls “the pig place”, which is really a BBQ place called Augie’s (it has a giant pig on the roof). The Weekly Weather: It was supposed to rain the majority of the week, but ended up only raining a few times. The rest of the time it was overcast and muggy, with a few bits of sunshine thrown in here and there. What Paul’s Been Up To: School and work as normal. Not too much out of the norm that I haven’t already mentioned. What Sarah’s Been Up To: Keeping the tiny humans happy and healthy as normal. Not too much out of the norm for me, either. 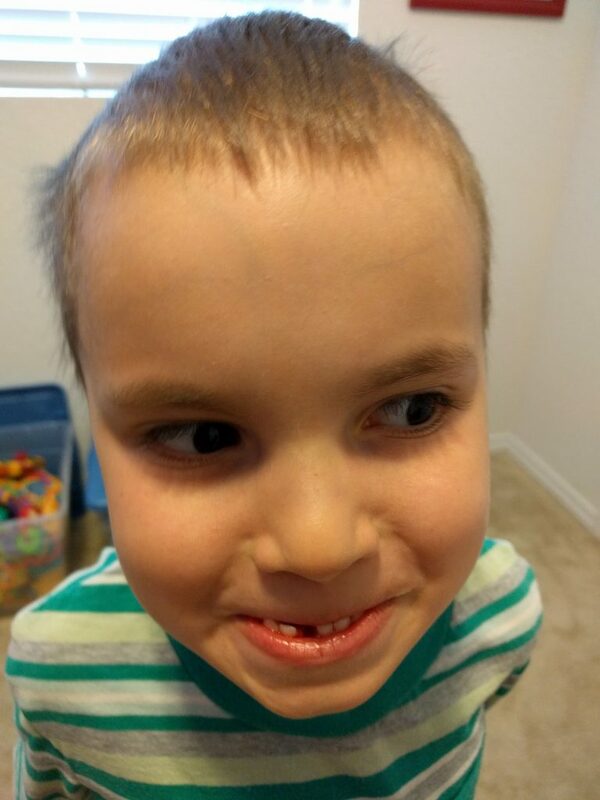 What Joseph’s Been Up To: His tooth fell out Sunday afternoon, while he was hanging out in the office with Paul. He was wiggling it with his tongue and it just popped out. Paul put it in a little container that he could stick next to his bed so the Tooth Fairy could come and switch it out for a couple of quarters. He was pretty excited. We also discovered that the tooth right next to it is loose as well (which makes sense since they came in pretty much at the same time when he was a baby). He’s also created a “friend” using his dress-up cowboy hat with a pair of safety glasses (that came with the rock digging kit he got for Christmas) resting on the brim. The hat’s name is Gary and Gary has a pet armadillo (really Joseph’s plush armadillo) named Armadillo-mondo (I couldn’t make this stuff up if I tried). Joseph will disassemble Gary when it’s Abigail’s bath time so that he can wear the hat and glasses as “protection” against the splashes (he really likes being in the bathroom when she’s having her bath because he likes to watch her splash around). As mentioned before, he had his first field trip and had a great time. I think he was just as excited to ride the bus as he was to go to Sea World. 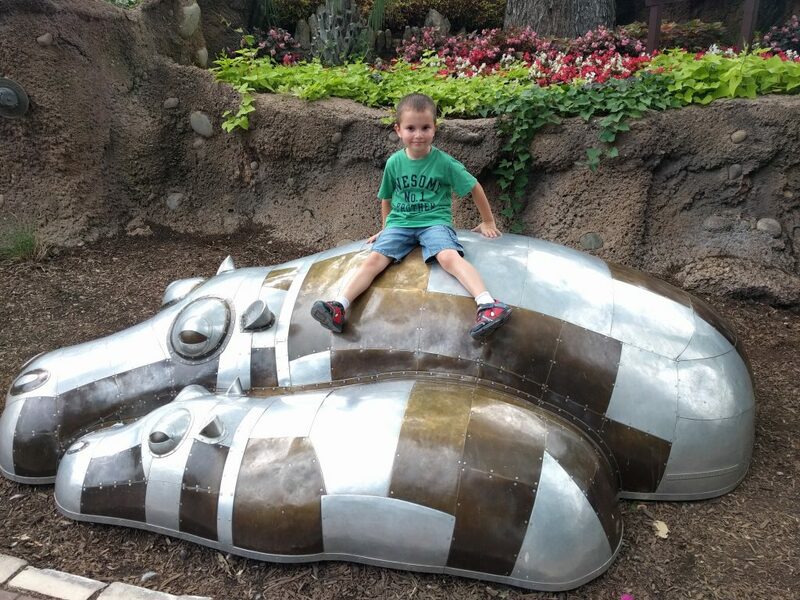 🙂 He also enjoyed going to the zoo and getting to climb on the sculptures without anyone else around. What Abigail’s Been Up To: I think I already mentioned that she has started rolling from her back to her tummy. Now when she does it, she can get her arms propped up under her so that she can look around. She’s also accidentally rolled back from her tummy to her back, but I don’t think she knows how she did it. I know that will come all too soon, though! She also continues to sweeten us all up with her smile (especially Joseph…she loves to smile at Joseph) and has gotten quite vocal. We sure love our “caboose”! 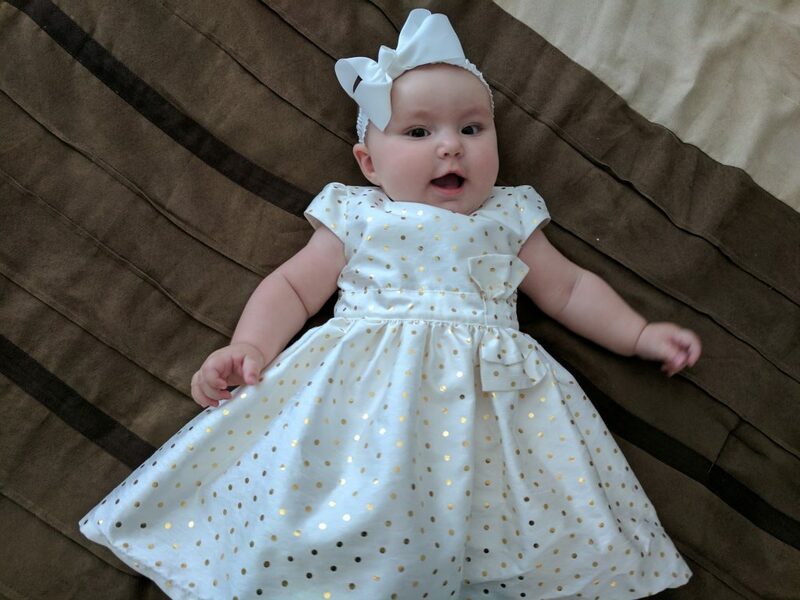 All fancied up for Mother’s Day last week. I took this picture after I’d already done the blog post for that week, so this picture is getting put into this post. 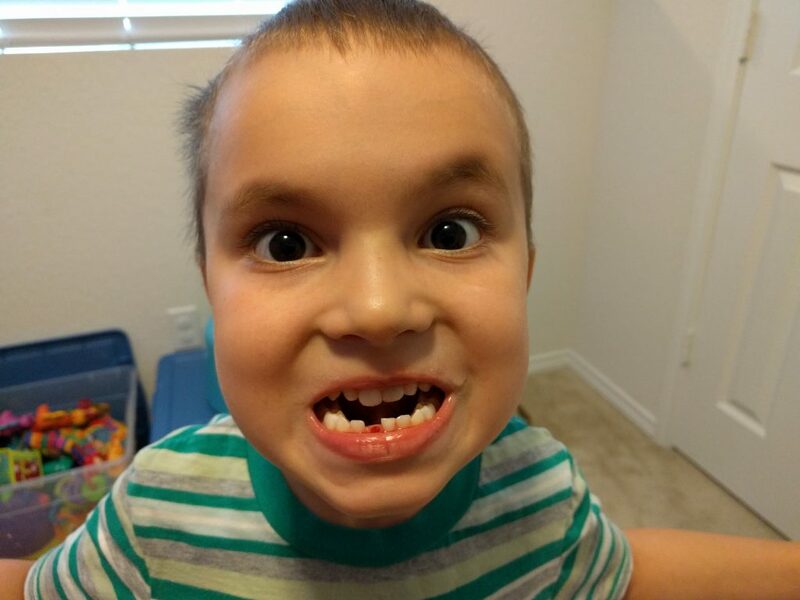 Showing off his lost tooth spot (as well as his goofy sense of humor). His personality just cracks me up! Sitting on the hippos at the zoo. 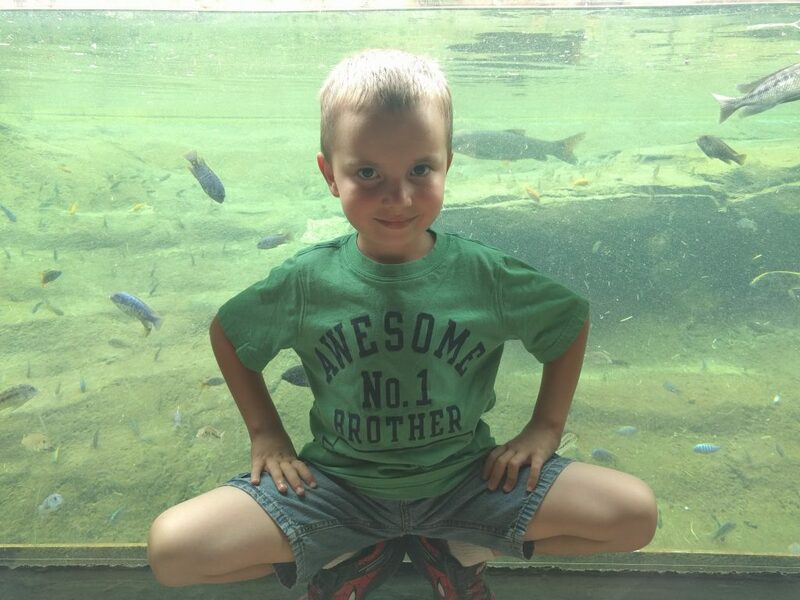 Posing in front of the fish. He wanted to be on top of the biggest lion. Normally this area is crawling with kids, but since we got there right before closing, it was pretty empty.